Garden of the Gods. The dramatic, soaring red rocks at Garden of the Gods make it a popular attraction year-round. But October is an especially beautiful time to see the natural red hues in contrast with bright yellow and orange. Stay for an hour or an afternoon—there is plenty to explore and something for everyone! Just don’t forget your camera. Highway 67 Through Cripple Creek. 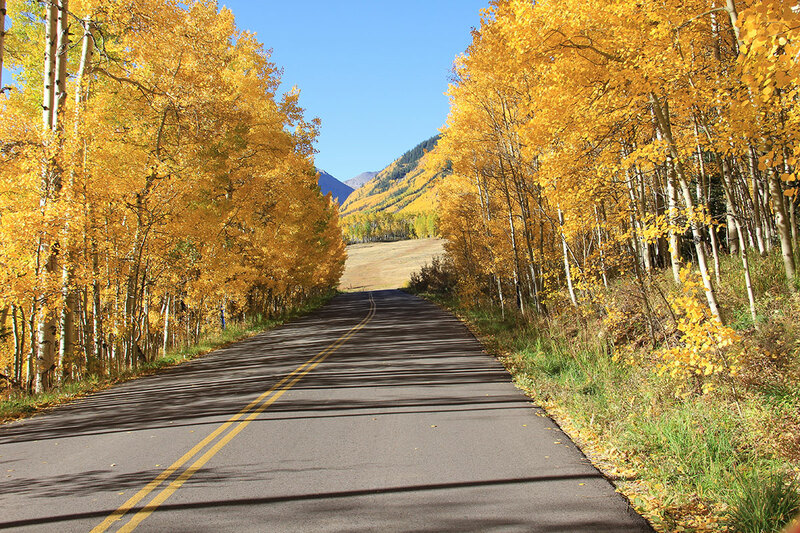 Head south on Highway 67 and enjoy miles of winding road with plenty of opportunities to take in the colorful scenery. Stop at the Cripple Creek Heritage Center for spectacular window views. Lory State Park. On the north side of the state you can catch gorgeous views just minutes from Ft. Collins at Lory State Park. Adjacent to Horsetooth Reservoir, Lory has a variety of trails for easy hikes to enjoy fresh air and views before heading to your favorite dinner spot in Old Town. Evergreen. Don’t let the name fool you. Just a short drive from metro Denver, Evergreen offers several fantastic locations for viewing the changing foliage. Get your step goals in for the day and try hiking near Maxwell Falls or in Alderfer/Three Sisters Park. Or kick back and enjoy a drive along the Lariat Loop Scenic Byway. Every change in season is better when your home is in Meridian Ranch. Located in beautiful Colorado Springs, Meridian Ranch offers comfortable, modern homes at a variety of price points. Enjoy views of Pikes Peak every day, and one of the best new golf courses in the state.